Another bike on Kijiji, Toronto. A mid 50’s Robin Hood 3 speed. The owners are looking for an enthusiast to purchase and restore. Price is negotiable. Definetly a challenge, but worth somebody’s time. Some leather and some inexpensive snaps and presto! Hub Shiners! Archie Recommends This 3 Speed Shifter! A Bendix 3 speed shifter. Saw this one on Kijiji Kitchener. A Robin Hood Sherwood Arrow, year unknown but I suspect early 1950’s. I inherited this old oil can from my Wife’s Grandfather and it’s the perfect shape for oiling the rear hub (as well as other parts). 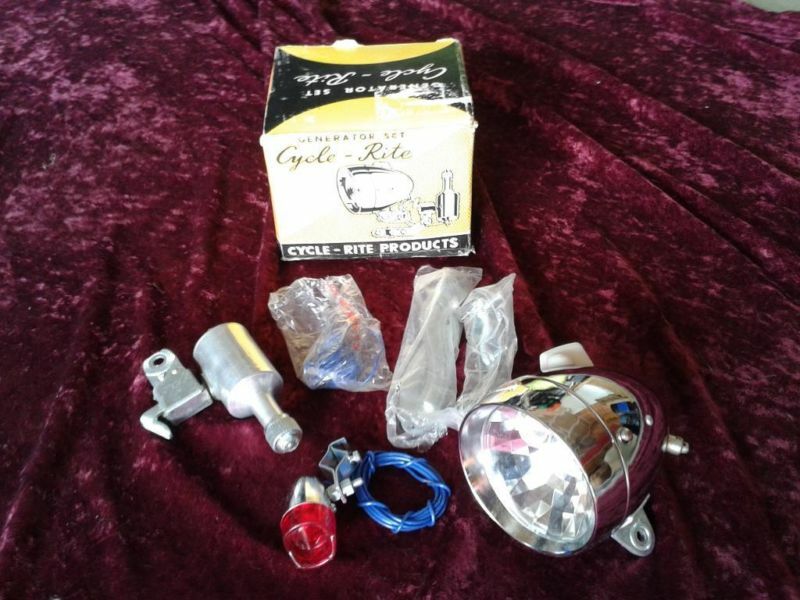 NOS Cycle-Rite lighting kit for sale on Kijiji Toronto. 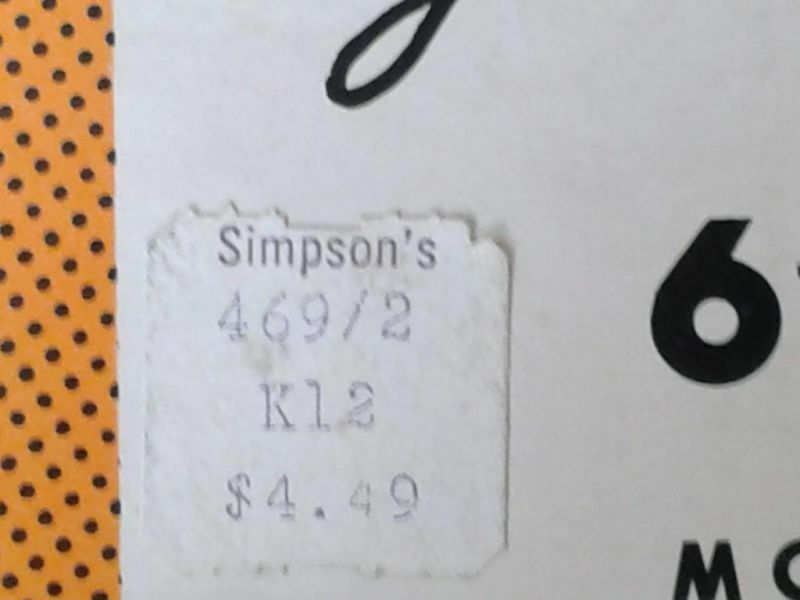 Original price sticker at $4.49 from Simpsons. An interesting company that sells reproduction antique bicycles and accessories. They have some well priced repro hairspring saddles and tool bags. NOS speedometer on Kijiji Toronto for $10.00. If you’re planning to attend this year’s Toronto Vintage Bicycle Show there’s only one week left to get your bikes spiffed up for display! We had a terrific turn out last year and will see even more rare and stylish rides this year. Here’s a couple of links to photos from last year. Edward in Toronto took some great photos as well. 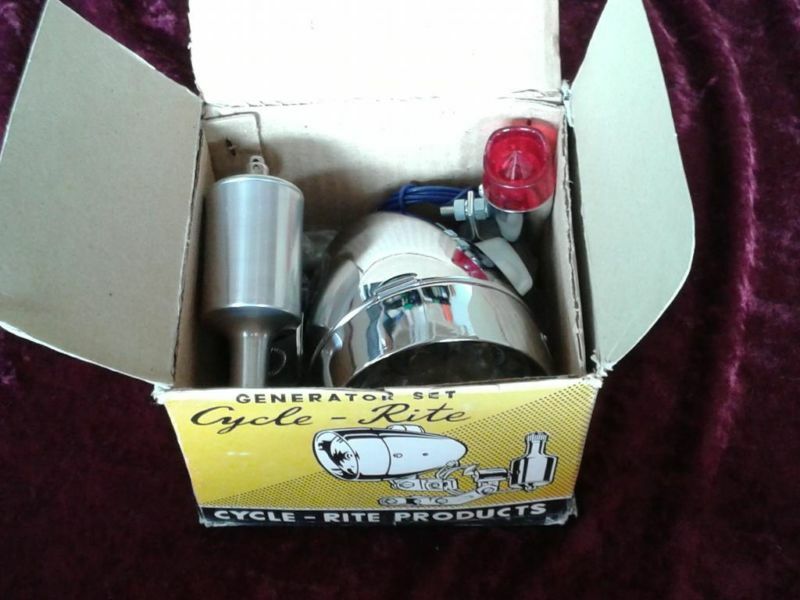 There will be lots of vintage bikes for sale as well as parts and accessories. These are available online and at West Side Cycle on Roncesvalles. On closer inspection I realized that the pads on these are plastic as opposed to rubber. I prefer the S 3000 pedal available at Hoop Driver. A vintage accessory that attaches to the front fork and registers mileage.